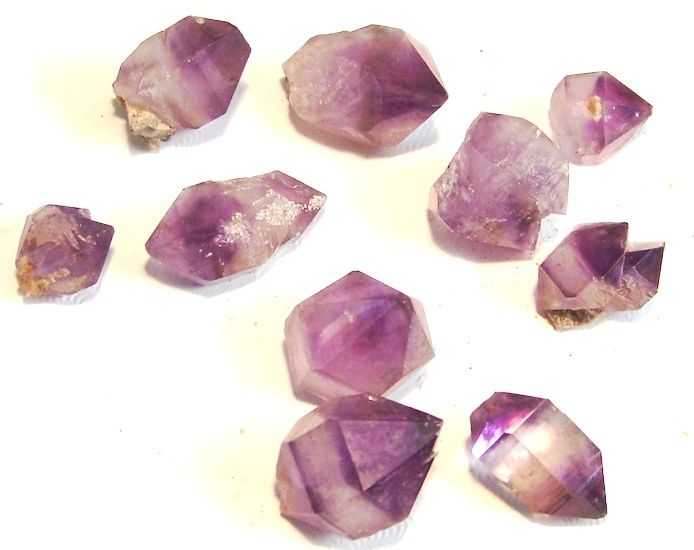 Amethyst Herkimer Shape Crystals. Origin: Russia. (Set of 10) Sizes range: 3/8" x 1/4" x 3/8" to 3/8" x 1/2" x 3/4". Total Wt: 18.50 grams.